Hey hey, what's up my friends! In today's video, I'll share with you three swing trading strategies that you can use to profit in the financial markets. Doesn't matter whether you're trading FOREX, stocks, or whatever. These strategies can be applied the same. Before I begin, I want to explain to you what is swing trading. Swing trading is the idea is just to capture one swing in the market. This market is in a range. Let's say you are a swing trader and you buy at the area of support. Where will you exit your trade? Well, as a swing trader, you typically exit your trade before the opposing pressure comes in. As a swing trader, you usually exit your trade before the opposing pressure comes in! So, if you're long, where is the opposing pressure? The opposing pressure is traders who are looking to sell! Where will traders be looking to sell? If you look at this, chances are traders will be looking to sell at the resistance or swing high. You want to exit your long trades before this opposing pressure kicks in. This means that you go long near the lows and you try to capture one swing, exiting your trade before the area of resistance. Likewise, if you are short in the markets at this resistance, you want to exit your trades before the area of support. This is the core idea behind swing trading. Where the price is pretty much stuck in a range. The core idea here is that the market is in a range. You want to buy low and sell high, so how you would go about doing it is to let the price come into an area of support and let the price reject the lower prices. The market, at one point in time, was trading lower and lower and lower. And then suddenly the buyers step in and push price all the way up higher. So, this is a swing trading setup for you to actually go long. Because you don't want to set it at the precise low as it's very common for the price just take out the previous lows. So, what I would suggest is that give it some distance, some buffer. Your goal as a swing trader is to capture one swing. Where is the opposing pressure likely to come in? If you ask me, chances are it would come in the resistance area. If you look left, there is a resistance area. As you can see in this example, clearly the market didn't reach far enough before it reversed back into the area of support. Depending on how you manage your trade, this could be a break-even trade, a small winner, or even a loser. I'm not going too much detail into trade management, because that will be a video for another time. But I just want to share with you the core concepts of swing trading. This is used when the market is in an uptrend. When the market is trending, you are trying to time your entry and capture just one swing in an uptrend. One thing to point out is that in an uptrend, there are multiple swings. You can see that the moves that are in line with the trend are usually stronger. Usually, you want to trade with the move that is in line with the trend. I call this the trending move! The market tends to bounce off the 50 EMA which is shown as a blue line. What you can do is to wait for the price to come to an area of value, which is this 50-period moving average. Again, look for a form of a price which actually can be a hammer. It can be what you call a bullish engulfing pattern, and etc. Notice the price came in. At one point in time, it was near the 50-period moving average. And then the buyer stepped in and finally pushed the price higher, closing near the highs. As a swing trader, you can look to get long. Again, we mentioned exiting your trade before the opposing pressure kicks in. This is the second strategy, catch the wave. The final strategy that I want to share with you is I would say more aggressive. But it still offers a favorable risk to reward on your trade if you execute it correctly. This is actually a counter-trend trade. There is actually an opportunity for you to take a counter-trend trade. But I'll share with you a little bit on how to manage this type of trade. Because if you are not careful, the price can actually reverse quickly against you. It got rejected with a bearish engulfing pattern as it collapses lower. But prior to this, as the market was breaking out higher, there are traders who went long on the break of these highs! "Hey, the market is breaking. All right, man, I better go long. The trend is up. I want to long the breakout. I want to catch the next move up higher. I don't want to miss the trade." Well, the next candle did a 180-degree reversal towards the downside. That's why you have the bearish engulfing pattern in the example. And now the group of traders who went long earlier on the breakout are now trapped! Where will these group of traders put their stop loss? What happens is that as the price hits lower, you will actually hit this cluster of stop loss from the breakout traders, and that will fuel their selling pressure. That's the logic behind this trade. What you can do is that when you see this pattern where the price did a false break, you can go short on the next candle open. Just a quick one swing down. As I mentioned, this trade is a counter-trend trade. It's slightly more aggressive than the earlier ones because you are trading against the trend. So, for trade management, what I suggest in this instance is that you don't want to hold your trades for too long. What usually I do is that if the price breaks and close above the previous candle high (when short), I will exit the trade. Because I know I'm trading against the trend. I don't want to overstay. If it shows signs of reversal, chances are the pullback might end and the trend would continue itself. So, this is where my trade management comes in. It will be more conservative where my trailing stop loss will be tighter in this case. This is what I call fade the move. For the earlier trades like catching the wave strategy, you can give your trade more room to breathe for the stop loss. Because after all, you are trading with the trend, so there are a few ways you can go about it. First, is you can use market structure. Or you can also use a trailing stop loss approach until the price closes below the 50MA. Because after all, you are trading with the trend. Whereas using the fade the move strategy, you don't want to over welcome your stay. 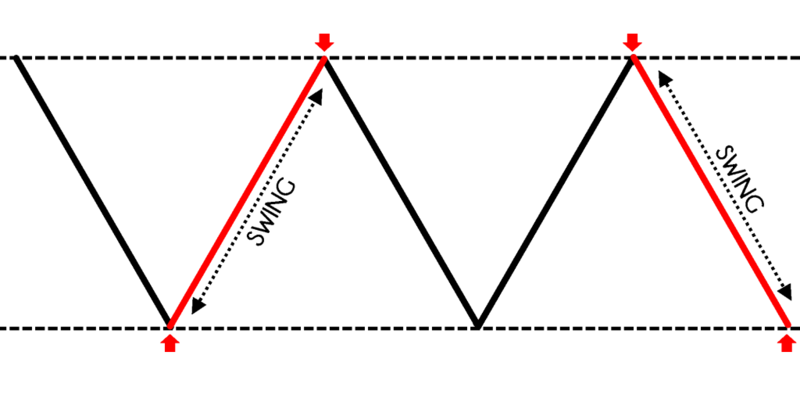 You are trading against the trend. We talked about “stuck in a box” where the market is in a range and you will buy low and sell high. We talked about “catch the wave” for a trending market on how to capture a swing. 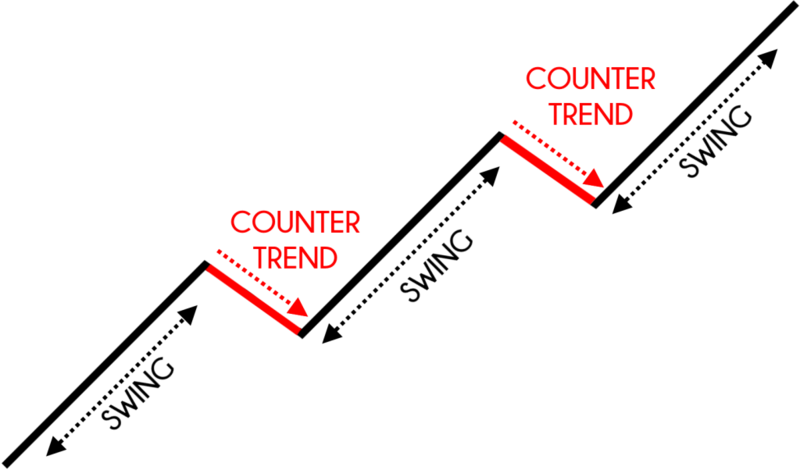 Finally, this a counter-trend trading strategy “fade the move” where the market makes a strong rally into a key resistance or key level and then got rejected.